Our 2018 Fundraiser Campaign is absolutely vital for the future of WWII Online, with less than 7 days the TIME IS NOW to get us to 100% funded. Visit our Funding Page and show your support! 2018 is poised to be an exceptional year for WWII Online with the delivery of new vehicle content and finally, we're making huge breakthroughs working on Terrain! As a mostly volunteer-based team, CRS continues its great work unlocking new development capabilities and propel the game forward, however we need YOUR help to give it an extra push from the WWII Online community to see that important objectives are met. Upgrading the game to a 64-bit client is now a matter of vital importance! Apple announced its plan to discontinue support of 32-bit clients effective September 2018, essentially discontinuing our Mac client. We expect Microsoft to follow Apple in the not so distant future. In light of this fact, we have some software we need to acquire so that we can begin rapidly upgrading our clients to 64-bit to ensure we meet this deadline! With that, let's have a quick look at what your contributions will go towards (see below). Secure critical software to upgrade to a 64-bit game client (Windows & Mac). +1 Year of support for Creator Software (Enables the creation of new vehicles and terrain). +1 Year of essential Project Management Tools. 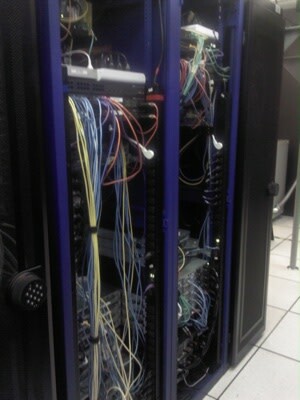 Hardware upgrades to improve infrastructure and services in the colocation facility. Support for completion of the 2018 Development Roadmap. Stretch Goal (Officer & Mission Leader Uniforms, Old Bunkers and more). All contributors ($50+) will receive the following in-game 2018 funder patch! The purchase of software is required for us to upgrade the game client to 64-bit (and it's not cheap, but it is necessary). This is massively important to do as quick as we can, and there are some big rewards to come from it that will benefit everyone! Memory limitations will be significantly reduced. Better client side (you) performance. More RAM (memory) can be used. More infantry, vehicles and terrain objectives can be rendered in the game world. Works on latest versions of common 3D modeling software. Better and faster delivery of infantry work from our artists. DEP, NX, SNEP, full ALSR (etc). This means the client is more secure against those that try to compromise the game! This will provide us with the initial monies required to get a head start on our integrated voice communication implementation. From there we'll be able to develop it further. Vehicle crew member upgrades (several). All of the vehicles upcoming in 2018 Roadmap will require this tool. In addition we'll need it to modify anything to do with the Terrain objects, which is now finally starting to become very feasible. JIRA (Task Management for 50 users). Confluence (Documentation & Planning for 50 Users). Bitbucket (Code repository for 10 users). Everything needs to be backed up routinely. This requires quite a bit of HDD space, and HDD's constantly running means we need to transition them out to avoid failure. there that I'm completely confused .. Any tips? Appreciate it! Didn't High command officer uniforms already exist? I'm pretty sure they were previously already in the game for a few years and were really easy to spot from their poofy pants and high boots.